One of the pleasures of any trip to Provence is the food, and the region is full of wonderful restaurants. 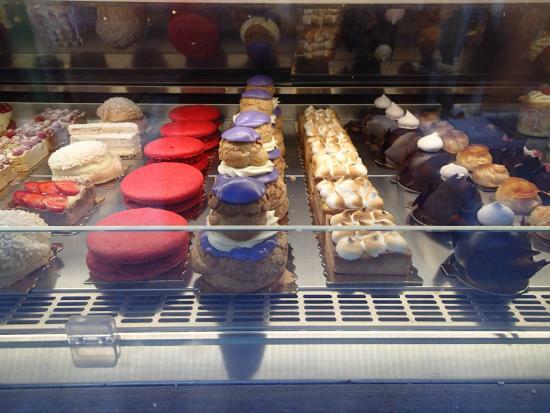 My wife and I live part of the year in St-Rémy-de-Provence and enjoy exploring new places to eat. I’ve made a list of some of our favorites in and around St-Rémy–you can read all about them at Perfectly Provence! That’s Emmanuel Billaud, the owner and chef at Le Clos Saint Roch in Maussane-les-Alpilles, a charming town near St-Rémy. He once won the award for “best-value” restaurant in Paris and has now opened a delightful place in Provence. If you want a great meal at a great price, be sure to check it out! You can read all about it at Perfectly Provence. 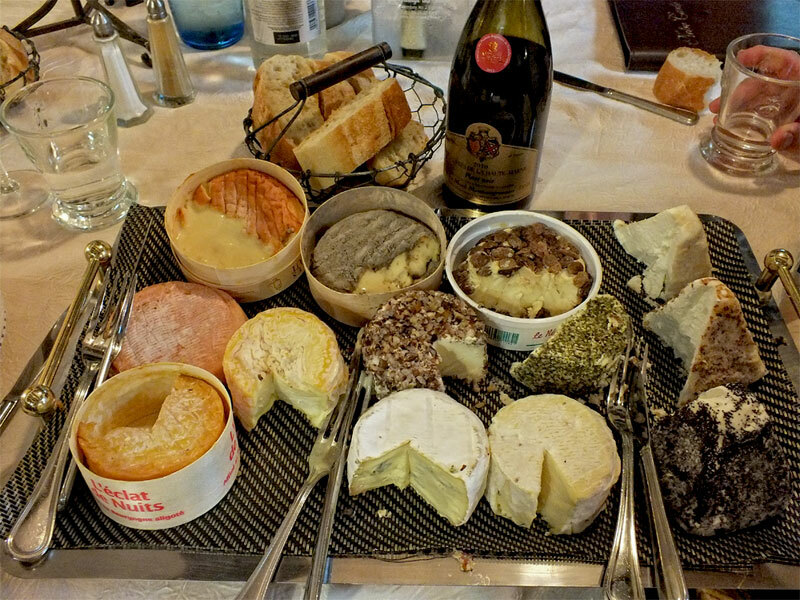 Food is at the center of French life and is any food more important than cheese? Non! Here are some funny stories about how I learned cheese etiquette, as well as the impact cheese can have on French elections. Read all about it at The Good Life France. One of my favorite restaurants in St.-Rémy-de-Provence is L’Aile ou la Cuisse. The food is great and the setting is beautiful, right in the middle of the old town. Best of all is the gigantic display case where you pick your dessert. It’s like Christmas every day! 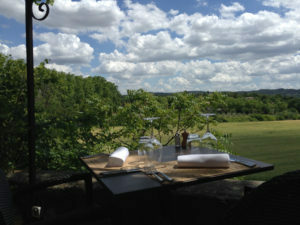 You can read all about this fun restaurant at Perfectly Provence. The Best Restaurant in Provence? There are a lot of great restaurants in Provence, with Michelin stars galore, like Le Petit Nice in Marseille and Baumanière in Les Baux. But for my money, the best fine dining in Provence is at L’Atelier de Jean-Luc Rabanel in Arles. Val and I go there every year to celebrate her birthday and it’s always great. Find out all about L’Atelier at The Provence Post. 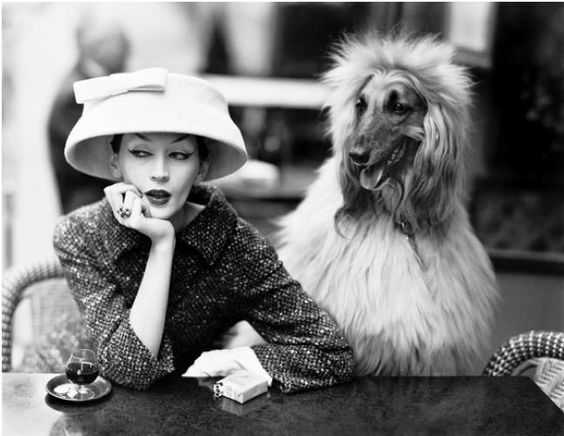 Imagine a chic Française sitting at a Paris café with her chic chien. Now imagine yourself there with your own dog. Impossible? Non! As the world’s most dog-friendly country, France is full of dogs in restaurants, hotels, boulangeries, on hiking trails, the Métro — you name it. So how American dog-friendly are they? Learn the secret of taking your dog to France at Frenchly. Thinking of visiting Provence, the land of glorious lavender fields and charming hilltop villages? Good for you! But planning a trip to a new destination can be challenging. Where do you begin? What you need is a Provence Starter Kit! And here it is. 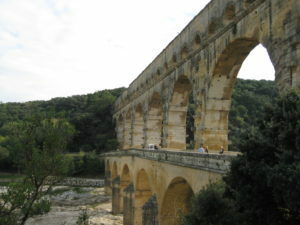 Provence has so much to see and do that you can be overwhelmed with choices. I’ve put together a one-week itinerary that hits many of the top spots. It allows you to stay in one town the entire time, rather than moving from place to place. You can savor Provençal life in lovely St.-Rémy-de-Provence while taking short trips to enjoy the wide range of what Provence has to offer. Here’s the link. 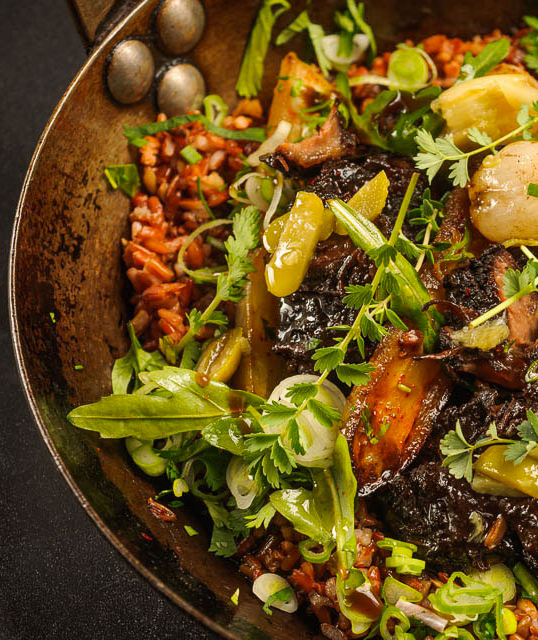 Want to try traditional Provençal dishes? Or maybe have a big, delicious salad for lunch? Perhaps you’d like something exotic, like Moroccan food. Peruse my list of favorite restaurants and pick whatever strikes your fancy. Here’s the link. There are a number of excellent bloggers who cover all aspects of life in Provence – things to see, places to eat, special events that are going on, and more. These blogs give you a way to find out what’s going on in Provence from people who are in the know. I’ve put together a list of my favorites. Here’s the link. Even a little French can help you get around and connect with the locals. I’ve put together some of my favorite language websites. Here’s the link. 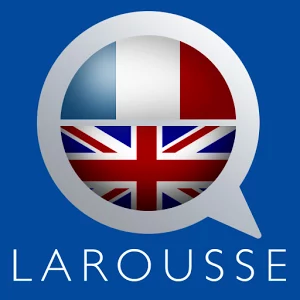 At a minimum, you should definitely put the Larousse dictionary app on your phone!